A reported third of the NEC delegates were supportive of his recall, but Zuma once again remained in control. The party’s ability to ‘self-correct’ appears to have expired, with a great many leaders ‘captured’ by a carefully-constructed patronage system centred on three immigrant-Indian brothers, the Guptas. Deputy Finance Minister Mcebesi Jonas provided evidence of that system last March, in the form of the Guptas’ oral offer to him to become Finance Minister (along with a $43 million inducement) if he served their interests in major procurement contracts. ANC Secretary General Gwede Mantashe then announced, “We will deal with the broader picture. We are refusing to be narrow in dealing with this matter because the threat is bigger than this one incident.” In May, however, he ended the Gupta “state capture” investigation, saying it was “fruitless”, supposedly because of inadequate evidence. Last month, however, outgoing independent Public Protector Thuli Madonsela released a blockbuster report summarising the evidence of Gupta malfeasance, which compelled the electricity parastatal leader to step down in humiliation. Last week was even more eventful, what with the internal ANC attempt to oust Zuma. No doubt, opposition parties from the centre-right (Democratic Alliance) and far left (Economic Freedom Fighters) quietly welcomed the continuation of Zuma’s reign because a far worse outcome would have been his replacement by Ramaphosa. In spite of his role in the Marikana massacre, he will be a harder opponent to ridicule in the months ahead. But major investors were obviously hoping Zuma would fall, and that Ramaphosa’s ascension would end the career threat against their favourite ANC politician, Finance Minister Pravin Gordhan. Given how much power the credit ratings agencies wield, Gordhan appears to have been spared an anticipated cabinet reshuffle in which Zuma goes for broke. The agencies retain this power because while Fitch, Moody’s and S&P offered pessimistic commentary on Zuma’s reign in their most recent statements, they did not downgrade South Africa to junk status. The whip remains poised above South Africa’s head, awaiting next June’s ratings. The reprieve left the whole economically-aware population of South Africa cautiously celebrating. However, last Friday’s statement by S&P – typically a stricter judge than Fitch and Moody’s – lacked logic and conviction, aside from predictable neo-liberal nostrum to cut the budget deficit and reduce labour’s limited influence even further. On the other hand, S&P’s incompetence may allow South Africans to better dispute the all-encompassing power of ratings agencies. For these are dangerous institutions whose mistakes – e.g. as the 2008 world financial meltdown gathered pace, giving AAA investment grade ratings to Lehman Brothers and AIG just before they crashed, as well as to Enron four days before it fell in 2001 – can be catastrophic to investors and the broader economy. No wonder the Brazil-Russia-India-China-South Africa (BRICS) Goa leadership summit in October agreed to explore “setting up an independent BRICS Rating Agency based on market-oriented principles, in order to further strengthen the global governance architecture.” However, given how poorly “market-oriented principles” hold up in the chaotic world financial system, and given the dominance of neoliberal economic bureaucrats within the BRICS, this strategy appears as self-defeating as the BRICS’ alleged “governance” reform of the International Monetary Fund last December. Then, aside from South Africa (which lost 21 percent of its vote), four BRICS countries increased their IMF voting shares at the expense of Nigeria and Venezuela (each of which lost -41%), and many more poor countries from Africa and Latin America. 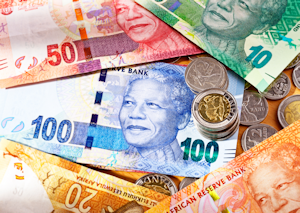 the ratings on South Africa reflect our view of the country’s large and active local currency fixed-income market, as well as the authorities’ commitment to gradual fiscal consolidation. We also note that South Africa’s institutions, such as the judiciary, remain strong while the South Africa Reserve Bank (SARB) maintains an independent monetary policy. •	“the SARB maintains an independent monetary policy” = in spite of incredibly high consumer debt loads (nearly half the country’s active borrowers are “credit impaired,” according to the National Credit Regulator, having missed three repayments), the SARB has raised interest rates six times since 2014, to levels amongst the world’s highest. Not only are S&P’s rudimentary observations off target, the silences in its statement are also disturbing. If we consider crunch problems that might lead to a drastic financial crisis here, S&P was surprisingly blasé about the country’s foreign debt. The last SARB Quarterly Bulletin records that debt is at its highest ever (as a ratio of GDP) in modern SA history: 43% (higher than PW Botha’s default level of 40% in 1985). Neither does S&P mention illicit financial flows (which have been estimated by Global Financial Integrity at $20 bn/year); or the balance of payments deficit due to profit and dividend outflows (usually more than $10 bn/year) following excessive exchange control liberalisation; or South Africa’s exceptionally high international interest rates on 10-year state bonds, at 9% (3rd amongst 60 major economies, only lower than rates in Brazil and Turkey which both pay 11%). Corporate overcharging on state outsourcing – which the Treasury’s Kenneth Brown says costs taxpayers $17 billion per year – does not warrant a mention. To S&P’s credit, however, the agency gave critics of big business at least minor affirmation by observing “the corporate sector’s current preference to delay private investment, despite high margins and large cash positions.” In an opposite signal, though, S&P also gave the country’s leading disinvestor, Anglo American, an improved rating on Friday (all the ratings agencies had reduced Anglo to junk status in February). S&P is not about to downgrade the disinvesting firms, and state-directed reinvestment – e.g. as in 1960s South Korea – is not on the cards. So in media coverage this foundational critique of our big corporates’ “capital strike” was only barely mentioned by a sole local periodical (Business Report). It still strikes me that like the Gupta and (Stellenbosch-based Afrikaner tycoon) Rupert families, the three ratings agencies will continue attracting the accusation of “state capture” insofar as the public policy this neoliberal foreign family dictates is also characterised by short-term self-interest, occasional serious oversights and national economic self-destruction. The only reasonable solution is progressive delinking from the circuits of world finance through which these agencies accumulate their unjustified power. Patrick Bond teaches political economy and political ecology at the Wits School of Governance.